This game was originally made for the IGMC 2017. It is in an very early state, consisting of only a single battle, but with an unique (but also crudely made) battler, made with dragon bones. Of course it will be expanded upon dramatically, and will eventually be a full fledged JRPG. 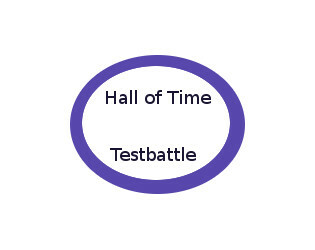 The next step in development will be to make the Testbattle look decent. Additional information will be released with further development. RPG Maker MV was made by KADOKAWA. All resources that are not custom have been made by KADOKAWA. All custom images have been made using GIMP, and were made by Valryia. All custom animations/battlers have been made with Dragon Bones, and were made by Valryia. First Update will be later, i am sorry.